Cinema masking systems are used partially mask or hide the cinema screen creating a sharp definition around the projected image. Cinema masking systems can be fixed in place or they can move with the changing aspect ratio of the image being projected, say from CinemaScope to Wide Screen. 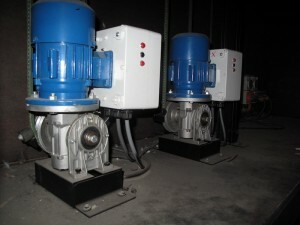 Specialty Cinema manufactures, installs and maintains nearly every possible kind of cinema masking system imaginable. From our standard side masking systems and top masking systems to more exotic panel roler side maskings and batwing masking systems, we can provide you with and maintain the masking system that best suits your venue. The name says it all, really. 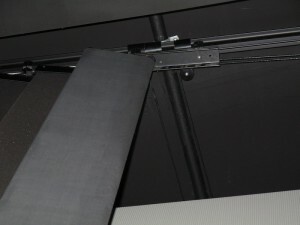 A cinema top masking system is designed to partially mask the top of a cinema screen. Specialty Cinema is a leading supplier of cinema side masking systems, which are designed and manufactured to our clients’ precise specifications. Designed to partially mask the bottom of a cinema screen, cinema bottom masking systems can be either fixed or adjustable. Unlike conventional cinema masking systems, panel roller side masking systems are designed to roll up or down, thereby masking just the right amount of the cinema screen in relation to the image being projected. Specialty Cinema is delighted to offer a solution that gives your cinema a traditional, even classic look, yet batwing side masking systems only require a paltry 100mm of space on each side of the cinema screen.